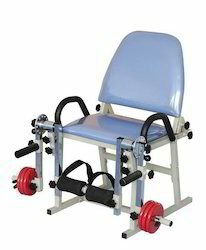 Leading Manufacturer of physiotherapy multi exercise chair from Ambala. The seat adopts special mould one time foaming procedure.The surface is leather. The frame is made of steel(coated) and the handle is stainless steel(coated).